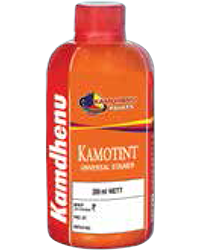 Kamotint Stainer is specially formulated premium quality stainer used for tinting paints like Acrylic Emulsion, Flat, Enamel Oil Paint and Lustre Finishes. Stir well for uniform and complete mixing. Kamotint has high tinting strength & required colours can be made as per its input. 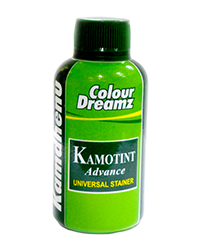 Kamotint Stainer is specially formulated premium quality stainer used for tinting paints like Acrylic Emulsion, Flat, Enamel Oil Paint and Lustre Finishes. Stir well for uniform and complete mixing. Kamotint has high tinting strength & required colours can be made as per its input. It is APEO free, which makes it environmentally friendly.